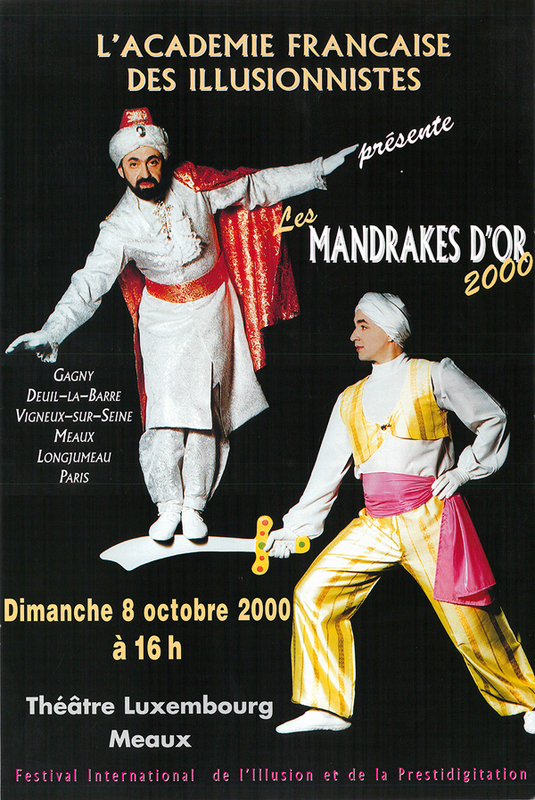 Gilles Arthur and his wife Corinne have created the “Mandrakes d’Or” (Golden Mandrake) in 1990. Each year, this magic festival tours various cities around Paris, France and is followed by a TV show. The artists taking part in the Mandrakes’ shows are honored by an award : the Mandrake statuette showing the famous comic strip magician’s character created in the USA in 1934 by Lee Falk and Phil Davis.